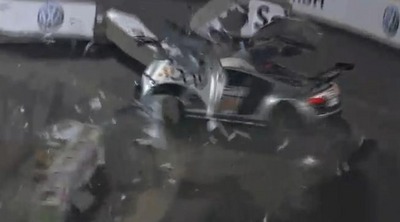 This weekends Race of Champions has been full of thrills and spills…as always. Formula One piolet Heikki Kovalainen totaled an Audi R8 LMS racer during the event. have no serious injuries. Should they recall Audi R8 LMS????? Heikki was racing against 4time WRC champion, Sebastian Loeb. with weird moves after getting out of a corner. Such a legend, indeed.